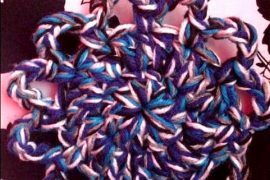 When I did my article on 10 smart ways to organize crochet hooks I included a spiral fabric hooks organizer that I thought looked awesome. 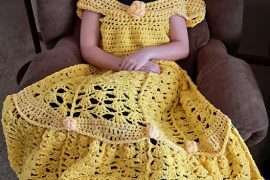 I just saw that there is a free crochet pattern on Ravelry for something similar that you could make for yourself. Cool! 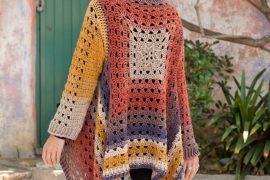 The design is by Eleanor Howe and the pattern is offered as a free Ravelry download. Would you be more likely to buy the fabric organizer or more likely to crochet your own? I’m definitely going to have a go at crocheting my own Tower of Babel – the pattern is downloaded and waiting to be printed! @craftgirl78 Yay – I’m glad I shared it then. I’d love to see how yours turns out! Great crafty idea! i have seen the fabric ones and they are lovely and $$$$ however I have too many needles and sets to realistically consider for organizing. I could see a use for the small crochet Tower of Babel for a table during a class or open knitting night, swatch yarn tasting night. Thanks for sharing the pattern. Will I actually make it? Who knows, but now at least it is an option :). I DID IT TODAY !~! I crocheted one like yours today during the Jack Frost detective show that my husband and I have enjoyed watching. I used Wool of the Andes by Knit Picks in Pumpkin and it came out perfectly cool. I glued a leather circle to the bottom to keep the hooks from falling out when I picked it up but the rest is just like yours. @Lynda M O I haven’t actually made this one yet, although I’ve got it in mind to do so, but loved the pattern and that’s why I wanted to share it here. The leater bottom makes perfect sense! I’d love to see a photo of yours if you get a chance! 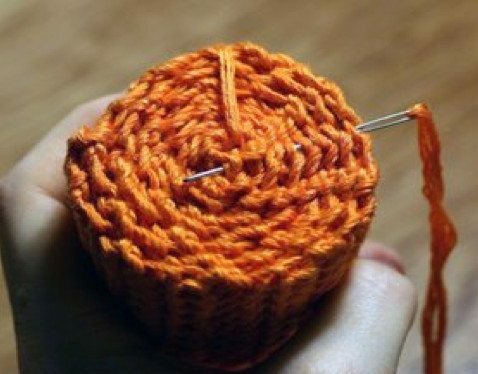 The link to the pattern is there in the post. It’s on Ravelry.